First News wins at the Bett Awards as the 'iHub' is recognised for 'exceptional innovation in education technology'. 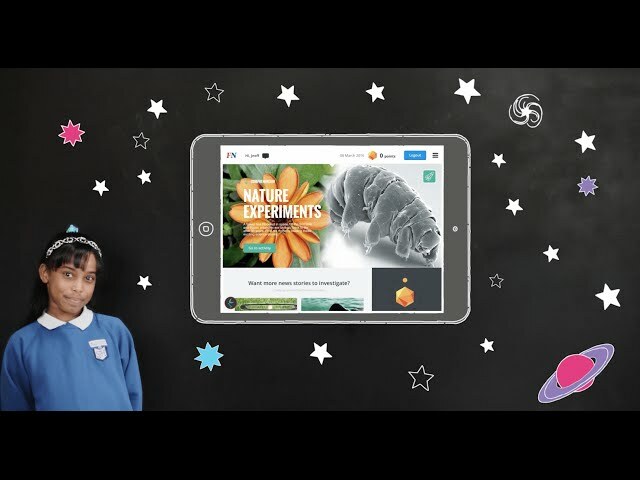 Competition in the Primary Digital Content category was tough with the likes of Lego, Discovery Education and Cambridge University Press also nominated. But it was First News and the iHub that won the judges over. First News are the UK’s original children’s newspaper. For 10 years they have been supporting literacy and learning through current affairs. Published weekly in print and digital editions, First News also offer a wealth of print and digital teaching resources for Key Stage 2 and Key Stage 3. The iHub is an innovative, digital approach to classroom reading, learning & teaching. iHub supports literacy teaching with interactive reading challenges for pupils based around current affairs. It’s the perfect tool for guided reading and homework for years 3 – 8. For teachers; the system allows for long term lesson planning, sending work out to pupils and it also provides the teacher with an overview of each child's progress. From a teacher’s perspective this is very rewarding and supports the delivery of the National Curriculum. As more children are becoming digitally savvy at a younger age, First News realised that they needed to embrace digital so that they can enable online learning and also have a centralised way of managing their content. The iHub project began with a Rawnet Foundry session. We worked in close partnership with the First News team to scope a centralised hub for First News content. Once we had formulated the objectives and features of the system, we began the UX phase of the project, wireframing multiple prototypes that were tested on real users. The valuable insight gained in the early stages means that the final product is well on the way to hitting it's subscription target in schools across the UK. “It was a joy to work with Rawnet on this project. From the initial pitch we really felt they “got” our brand and understood our vision for the iHub. We have worked really closely throughout the project and now have an amazing product that we are all immensely proud of and that both teachers and pupils absolutely love." The iHub is a perfect example of digital transformation in practice. Children now entering school are ‘digital natives’, they’re exposed to technology from a young age and are therefore more inclined to interact with a connected device than they are a text book. Research by Ofcom found that six-year-olds have the same understanding of communication technology as 45-year-olds. Technology in the classroom used to mean the teacher wheeling in the TV to watch an outdated documentary. However, the introduction of technology, such as tablets, in an educational environment not only better reflects children’s life outside the classroom, but also allows them to hone their digital skills. To learn more about the iHub or how Rawnet is transforming other markets using technology check out our case study page.